We started harvest at Paraduxx on Monday with Estate Viognier for the proprietary white wine, one of my favorites. Check out Don’s effervescent toast! (First, a little history): Last year the winemaking teams vied for glory in the first ever Duckhorn Wine Company Winemaking Challenge. 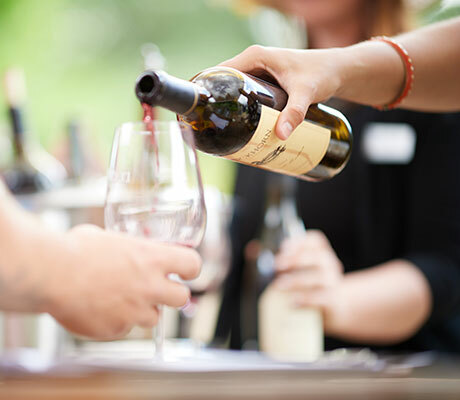 Each team made 2 tons of Malbec from our Ridgeline Estate Vineyard, and the results are remarkable. The final judgement is coming up in the next few weeks, and the results will be posted as soon as they are in. 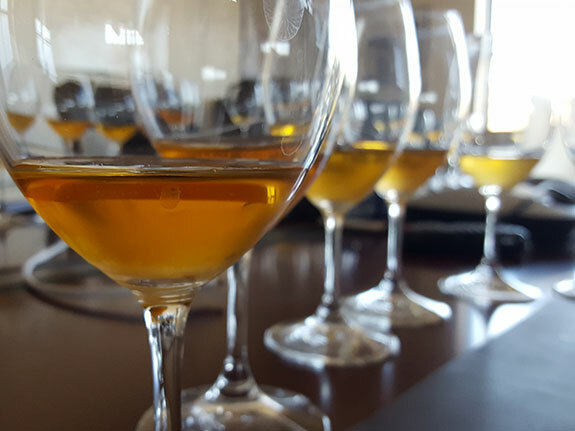 Harvest 2016 is here, as is the new challenge – Orange Wine! Now, don’t get worried, we haven’t traded in our beautiful vitis vinifera for citrus. Orange wine is a term for a white (grape) wine fermented with skin contact. In typical white wine fermentation the juice and skins are separated immediately, as the skins impart tannin, color, and astringency to the resultant wine. Skin fermented white wines (Orange Wines) are actually one of the oldest styles of wine out there, being a staple of Georgian winemaking for at least 6000 years. These wines are experiencing a small renaissance in wineries, boutique restaurants, and wine shops across the US, Northeastern Italy, and in some parts of France. If you are interested in more information about these fascinating and very distinctive wines check out this great website (Wine Folly). Good luck to the winemaking teams, and may the best wine win! Rosé can be fairly tricky to get right, especially the color and texture. There are a couple different ways to make rosé wines, but we prefer to whole cluster press red grapes, and then ferment the juice as a white wine to preserve the fresh fruit aromatics. Being vigilant at the press is very important: if you squeeze too hard you can get excessive color and tannin, which can be bitter and astringent. This picture shows the difference in color between the free run portion and hard press of Pinot Noir, which we keep separate. That free run juice will make a beautiful wine for next spring! Our first fruit is in, and per usual, Semillon was the first in the gate. This noble varietal hails from Bordeaux, where it is blended with Sauvignon blanc in the white wines of Pessac Leognan and Entre Deux Mers. It is also used in the production of the botrysized sweet wines of Sauternes and Barsac. As pictured here with our new Duckhorn Vineyards Enologist Cayla Dee Porter, Semillon can produce large clusters bursting with juice. 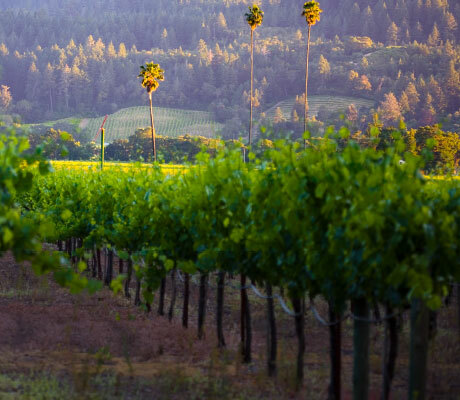 The Duckhorn Vineyards Sauvignon Blanc has historically been a blend of roughly 75% Sauvignon Blanc and 25% Semillon, though the exact percentages shift based on the vintage. Semillon brings a balancing mouthfeel and midpalate weight to the acidity and zip of Sauvignon Blanc. New Decoy Winemaker Tyson Wolf rings in the new vintage at our Decoy winemaking facility. Most of the team was there, including bottling, to toast with Goldeneye Sparkling Wine. These folks are an incredible team and will move mountains this harvest. Cheers to all your hard work in advance! And here we have Domingo Villa Leal dumping the very first bin of the season, with the rest of the all-star crew looking on. Note the beautiful Duncan Peak in the background! Hoses are another key tool of the trade. 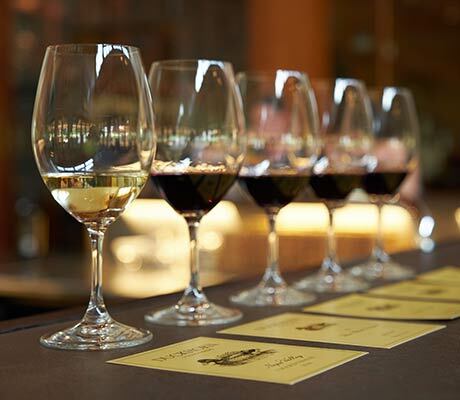 They are part of most wine movements, whether between tank and barrel, press and tank, or tank to tank. They get dragged around the winery all day, and are very tough. They do however need repair from time to time. Our DV Cellar Lead Jaime is working on banding some hoses, getting them in shape for the long haul. Barrels are key to every harvest, but they require a lot of prep work to get them ready for the job. They need to be shipped from France, loaded on a truck, unloaded at the winery, checked for quality of workmanship, laid on a rack, swelled, and rinsed before they are ready to receive freshly pressed juice or wine. Here we have Manny, Scott, and Luis from team Duckhorn racking up new Nadalie barrels. The last few days have seen a moderate cool down in temperatures and moderate onshore flow. This has slowed sugar accumulation and respiration of acids in our ripening grapes. This weak trough looks to be nudged out by a moderate ridge towards the middle of the week, pushing temperatures upwards towards normal through the end of the week. Winemakers, grower relations folks, and vineyard managers keep a close eye on the weather as day to day variations in temperature, wind, fog cover, and precipitation can have significant impacts on picking decisions and ultimately wine quality. Every year hard working folks from many walks of life make the fateful decision to work harvest as interns, perhaps semi-aware of the long hours and longer season ahead. They are in important part of every harvest team. 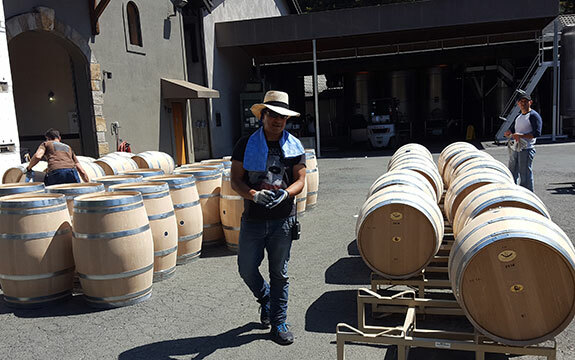 Doing internships is an incredible way to learn the craft and an important part of winery culture. 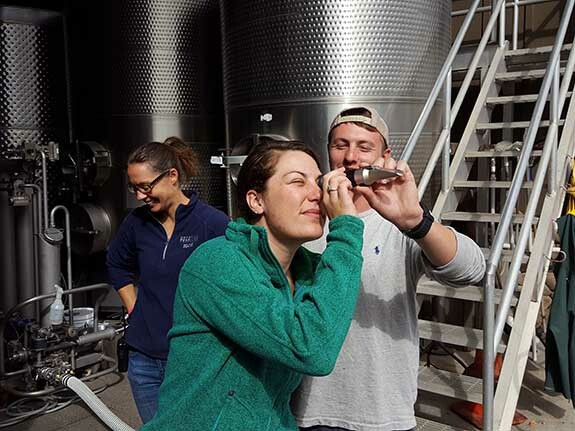 Here we have Paraduxx cellar champ Hudson training our new intern Bree (with Sarah Rogers giggling in the background) on the use of the refractometer to determine the brix of a grape sample. Somehow, some way, it is harvest again. Winter and spring have come and gone, and the growing season is nearing its conclusion. 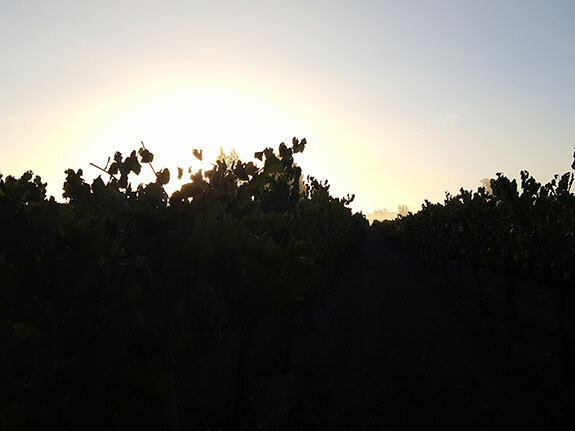 The sun has risen and set nearly 165 times since the grape buds pushed and started the annual cycle again. Our incredible Estate Vineyard and Grower Relations teams have worked tirelessly to nurture and cultivate our vines and growers through dormancy, budbreak, bloom, set, and veraison. They have paid careful attention to pruning, vine pest and disease eradication, suckering, shoot thinning, petiole analysis, leaf thinning, cluster counting, mowing, inter-row and intra -vine cultivation, moving wires, hedging, leaf water potential, cluster weighing, and green thinning. 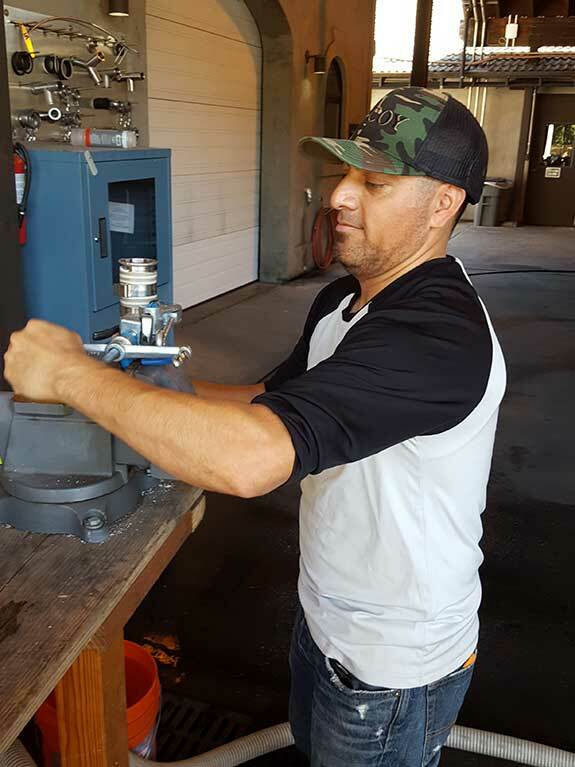 At the same time, our dauntless Operations and Facilities teams have worked unceasingly to fix, replace, and maintain key equipment at our wineries. Countless new projects, each intended to allow us to work safer, more efficiently, and above all make better wine, have been managed and put in place under their guidance. The facilities guys are often the unsung heroes of harvest, always there to get a press back on line, or make a critical adjustment to a destemmer to make it work that much better. Our bottling team has worked hard to get the best packaging for our wonderful wines in the right quantities and delivered on time to the right places. 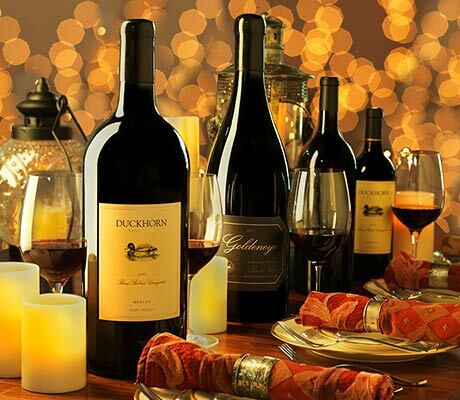 They have checked QC on countless thousands of corks, and checked and re-checked thousands of bottles to ensure that each and every one that comes off our line is fit to bear the seal of Duckhorn Wine Company. In the wineries, our devoted and incomparable winemaking teams have played their part in this annual cycle too, caring for the 2014 and 2015 wines as they age gracefully, and readying their cellars for the new harvest. Countless tastings, rackings, blending sessions, barrel maintenance, lab analysis, sulfur additions, spreadsheets, toppings, barrel orders, data entry, vineyard visits, educational tastings, meetings (sorry guys :)), tank cleanings, consumer events, and sales trips have filled the past year, culminating in readiness for today’s 13 bins of Tofanelli Semillon. There are so many hands that take part in this ancient annual cycle of dormancy, growth, and harvest, and the excitement surrounding a good vintage is still felt in a deeply visceral way. 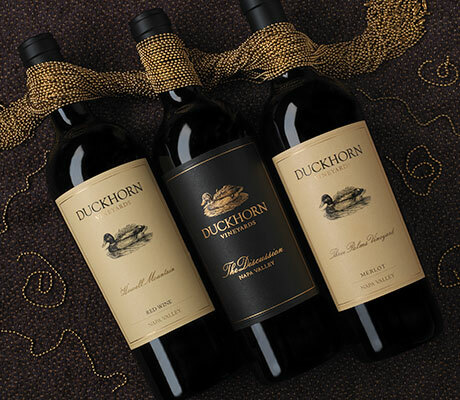 At almost 40 years running, Duckhorn Wine Company has a team who is steeped in the traditions and legacy founded upon Dan and Margaret’s vision. This tradition is most wonderfully expressed by the blessing of the grapes, and Renee Ary, our eloquent Duckhorn Vineyards Winemaker, captured that spirit in her toast. Happy Harvest Everyone!